The President of the Batson-Cook Company advises that landscape architect E.S. Draper wishes to discuss Berry's landscaping needs. 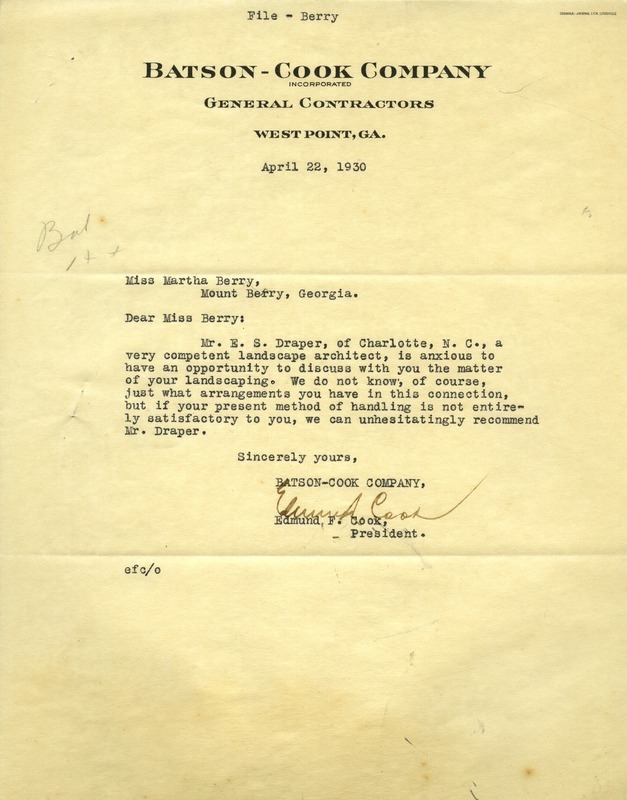 Edmund F. Cook, “Letter from Edmund F. Cook to Martha Berry.” Martha Berry Digital Archive. Eds. Schlitz, Stephanie A., Sherre Harrington, et al. Mount Berry: Berry College, 2013. accessed April 20, 2019, https://mbda.berry.edu/items/show/11760.